Before the start of today's St. Louis Rams-Oakland Raiders game in the Gateway City, five Rams players performed a hands-up salute to Michael Brown, the black teen shoplifter who was shot by a Ferguson, Missouri police officer who refused to listen to the cop's commands. No Rams players saluted the businesses that were burned down and looted in Ferguson on Monday night, nor did they pay respects to the workers at those establishments who are now unemployed. I'd like to conclude this entry by writing that the Rams lost, but they didn't--they annihilated the Raiders 52-0. Watch as National Review editor Rich Lowry schools the liberals on common sense on a Meet the Press panel discussing the Michael Brown case. "Don't rob a convenience store, don't fight a police officer and try to take his gun," Lowry said. The look on Andrea Mitchell's face is priceless here. My weekly post on Da Tech Guy blog takes a look at one of the biggest boondoggles of President Obama's stimulus, the $529 million federal loan to the now-defunct Fisker Automotive. The luxury electric car-manufactured its cars in Finland. Ungreen: Henrik Fisker now working on a jacked-up Mustang. Earlier this month there was a prescribed burn at the Miami Woods Forest Preserve in Morton Grove. A few days later it snowed and I was there with my camera. Next Thursday NBC will air "Peter Pan Live" starring Christopher Walken as Captain Hook. But NBC is nearly 30 years behind the times, as SCTV had its own Peter Pan Live--at the Melonville War Memorial Audotorium--with Divine (John Candy) playing the boy who won't grow up. 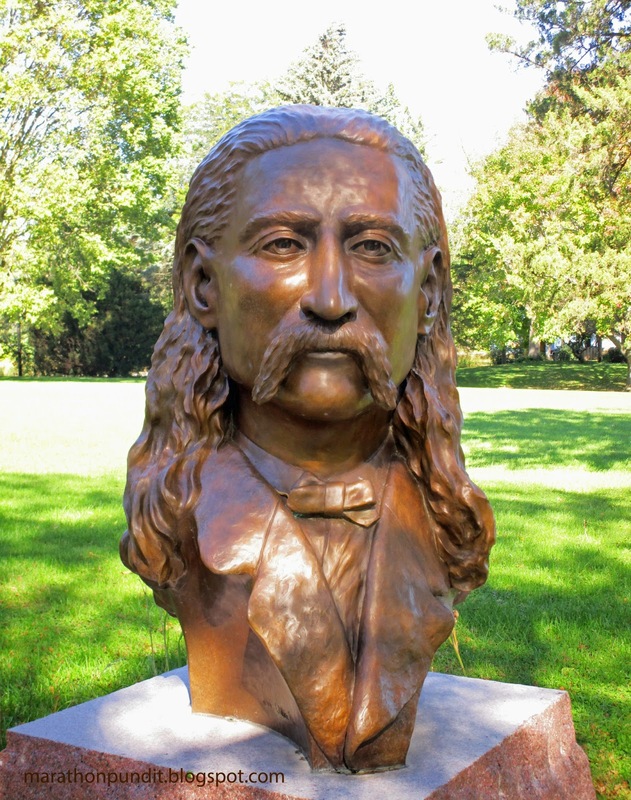 Exactly what does Wild Bill Hickok have to do with the Illinois & Michigan Canal and my series honoring the 30th anniversary of Ronald Reagan signing into law the first National Heritage Area, the I&M National Heritage Corridor? James Butler Hickok was born in what is now Troy Grove, Illinois, about a dozen miles north of the canal. His parents were deeply religious and they were abolitionists who aided escaped slaves traveling the Underground Railroad. 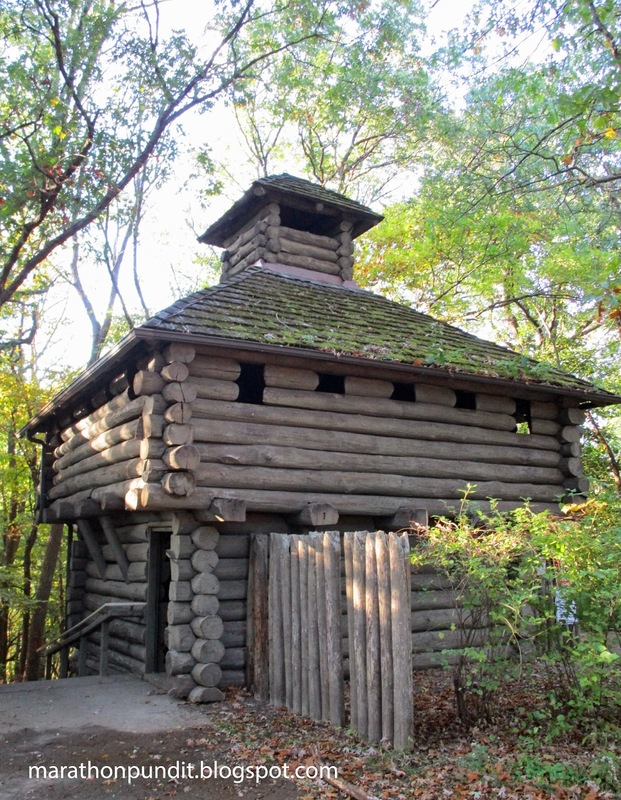 Young Hickok was known as an expert marksman--there was plenty of game to shoot in this recently-settled part of Illinois. Wild Bill worked as a mule driver on the the Illinois & Michigan Canal at LaSalle. It was there in 1855 when Hickok's first recorded fight--a bare knuckles encounter--with another mule boy, Charlie Hudson, a bully. Both of them ended up in the canal and Wild Bill mistakenly thought he had killed Hudson. Hickok then fled to Leavenworth, Kansas where he began his life as a plainsman. He was a scout for the Union during the Civil War. After the war Hickok was a lawman and gunfighter and of course a legend of the Old West. He was murdered while playing poker by Jack McCall in Deadwood, South Dakota in 1876. 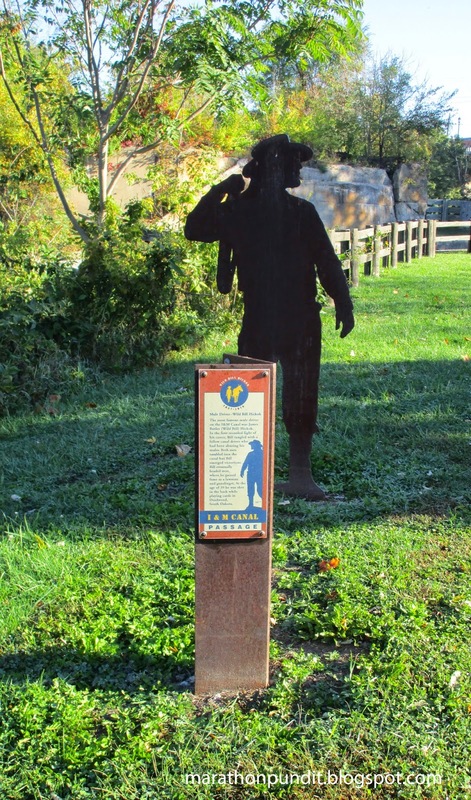 Hickok was born at what is now a park in the center of Troy Grove, which is graced by a bust of the village's favorite son. 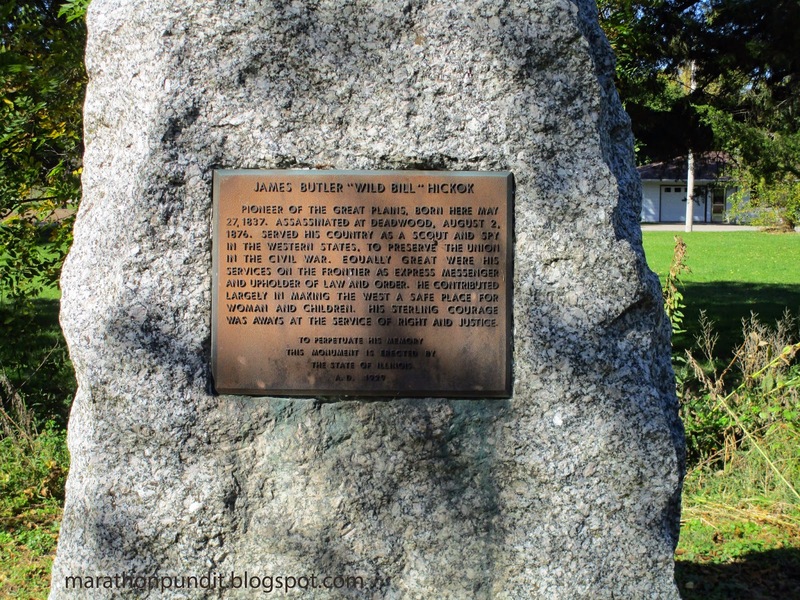 Pictured above is a 1929 state historical marker about Hickok, where Will Bill is credited, among other things, with "making the west a safer place for woman (sic) and children." 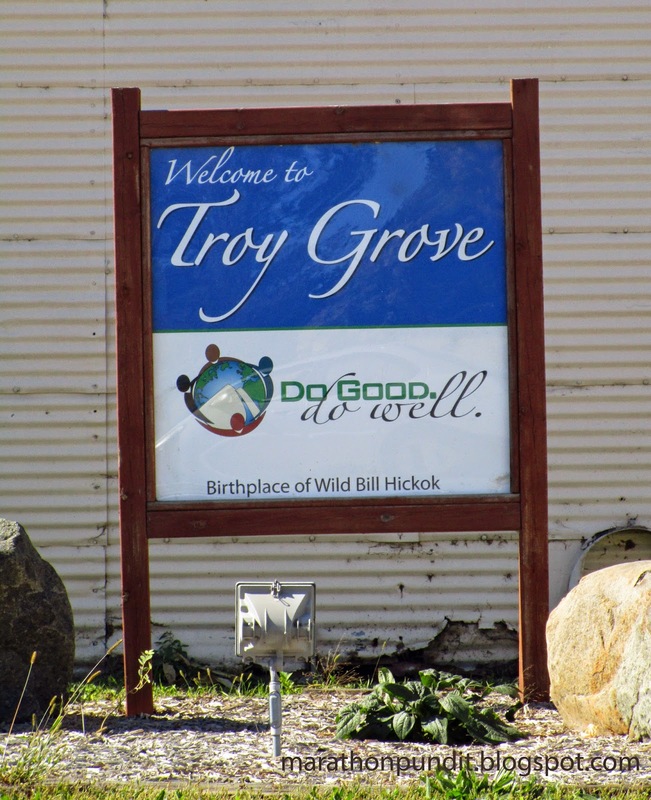 As for contemporary Troy Grove, it's a tiny town, only about 350 people live there. Now we're down in LaSalle. In the background is a steel silhouette of a Hickok the mule driver. The I&;M Canal at Lock 16 in LaSalle. On the left is a working passenger barge. The canal probably didn't look too much different from this vantage point when Hickok was a mule driver. 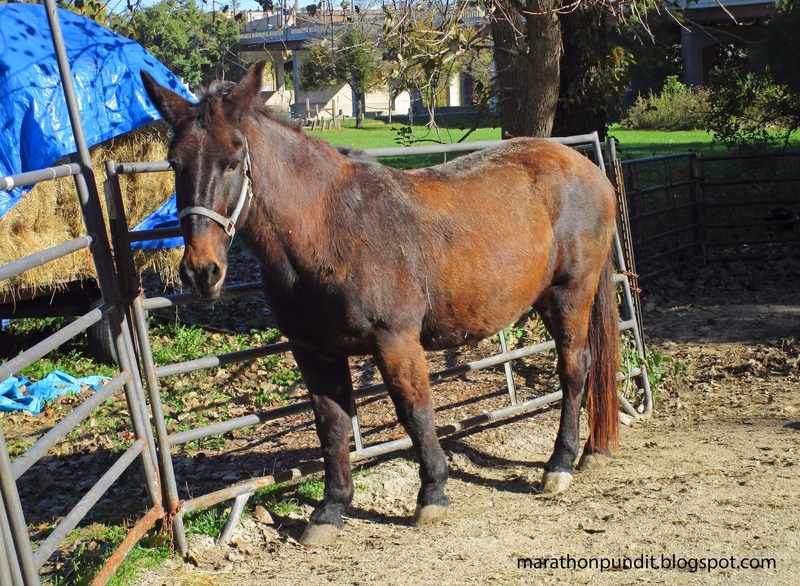 This is one of the two mules that pull the barge. To see the other one, you have to watch my Hickok video. And what does Michael Brown's death have to do with protesting Black Friday? Well, at least the looting seems to have stopped. On the other hand, activists on Thanksgiving night were urging consumers outside St. Louis area stores not to shop on Black Friday as a way to protest Michael Brown's death. On the surface this agitation makes no sense, but as leftists say, "the issue is never the issue." They grab whatever bits of discord to advance their cause--which is the destruction of capitalism. 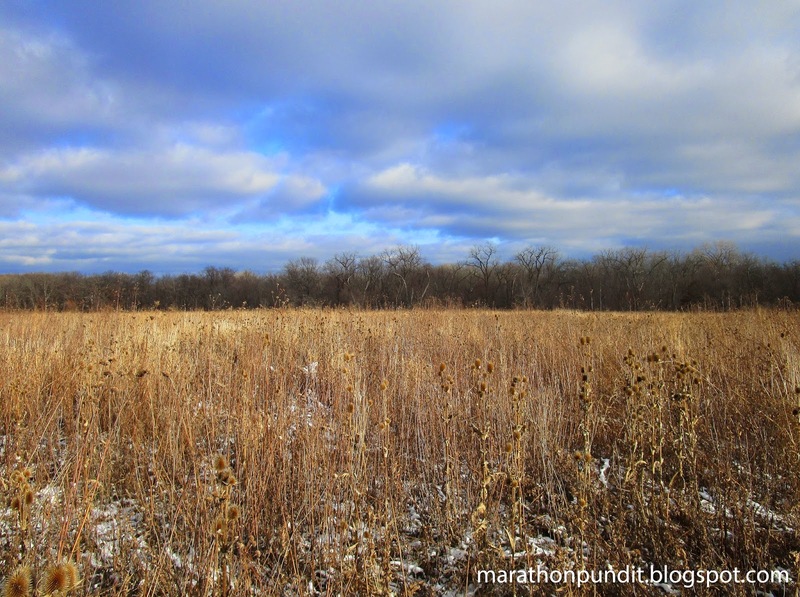 This is what I saw at Linne Woods Prairie during a Thanksgiving Day run. While I'm thankful we have a food stamp program for the truly needy, I find it hard to believe that twenty percent of Americans really qualify for that program. Nearly one in five U.S. households will celebrate Thanksgiving on food stamps this year, according to the latest data from the U.S. Department of Agriculture on participation in the Supplemental Nutrition and Assistance Program. Back in fiscal 2000, there were 106,061,000 households in the United States and, according to a USDA report published in November 2012, there was a monthly average of 7,335,000 households—or 6.9 percent—getting food stamps that year. As you can well imagine, food stamp usage skyrocketed after Barack Obama--the food stamp president--was sworn in. However, the Democrats are thankful that are economy is "back on track." Freedom isn't free. And the fight for it continues even as ungrateful Americans riot. 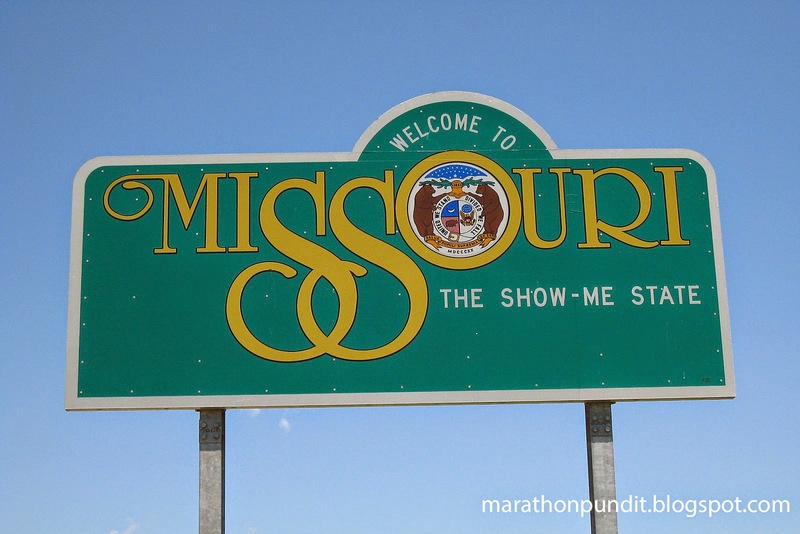 The entire country knows Michael Brown's name. They probably don't know the name Wardell Turner. Or Joseph Riley. On Monday night, even as Ferguson, Missouri erupted in violence, two American soldiers were killed by a roadside bomb in Afghanistan. The two soldiers - one black, one white - were killed fighting for the freedoms to march, to assemble, to speak out and to protest. The Pentagon has yet to confirm the names of the soldiers, but families of both men have spoken to the press. Turner was a native of Maryland, Riley was from Ohio. May they rest in peace. Friends, please have a happy and safe Thanksgiving. 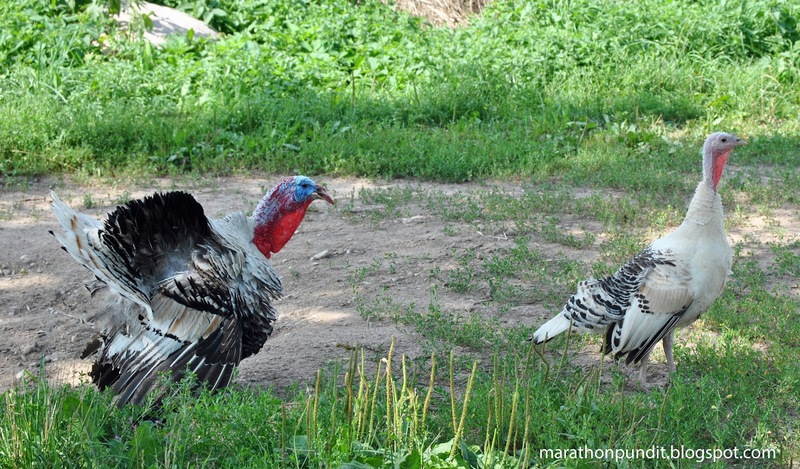 Enjoy these wild turkeys I found at Zion National Park a few years ago. Events went much better during last night's protests in Ferguson, Missouri. There were no reports of looting, but a police car was set on fire. Still, 45 people were arrested. Because of the ongoing Ferguson riots Explore St. Louis announced via Twitter that the annual Thanksgiving Day Parade in the Gateway City has been postponed because of "unrest in our community." No make-up date has been announced. Of course for many Ferguson business owners and their employees, there is clearly less to be thankful for this year. PJTV's Bill Whittle is right. As someone who lives just a couple of blocks from an interstate highway, the power of knowing that I can hop in my car and be far away quickly is a wonderful freedom to cherish. 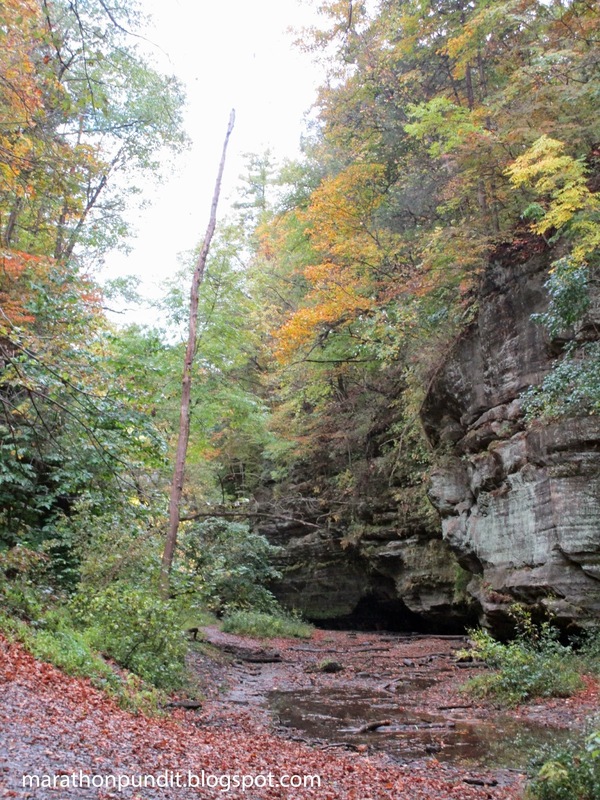 Since Starved Rock is the crown jewel of Illinois state parks, it needs a gateway town as the major national parks have, such as Gatlinburg outside of Smoky Mountain national Park. 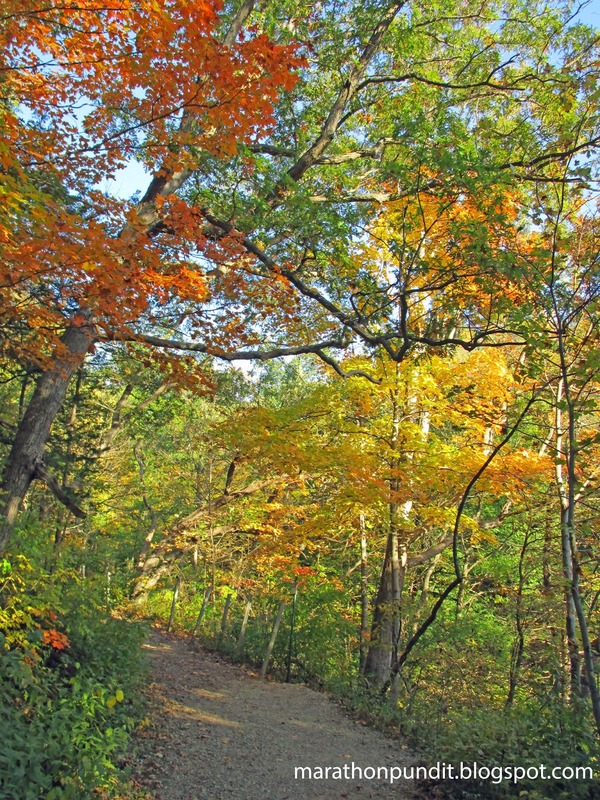 Starved Rock has one, North Utica, but it usually just goes by Utica. 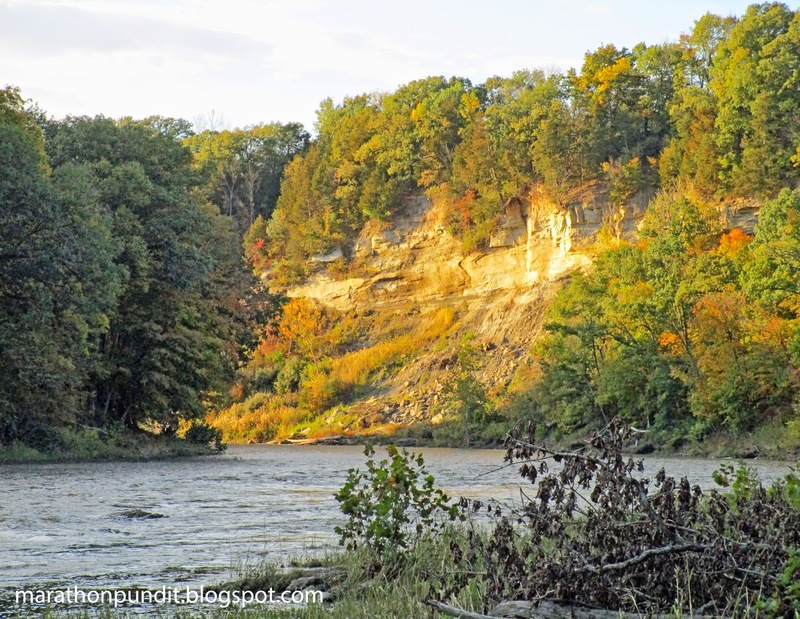 After spending time at Starved Rock and Matthiessen State Park, I drove north at dusk to that gateway. I've seen many YouTube videos of boat motors inciting Asian carp--which comprise 70 percent of the fish biomass of the Illinois River--to madly jump out of the water. 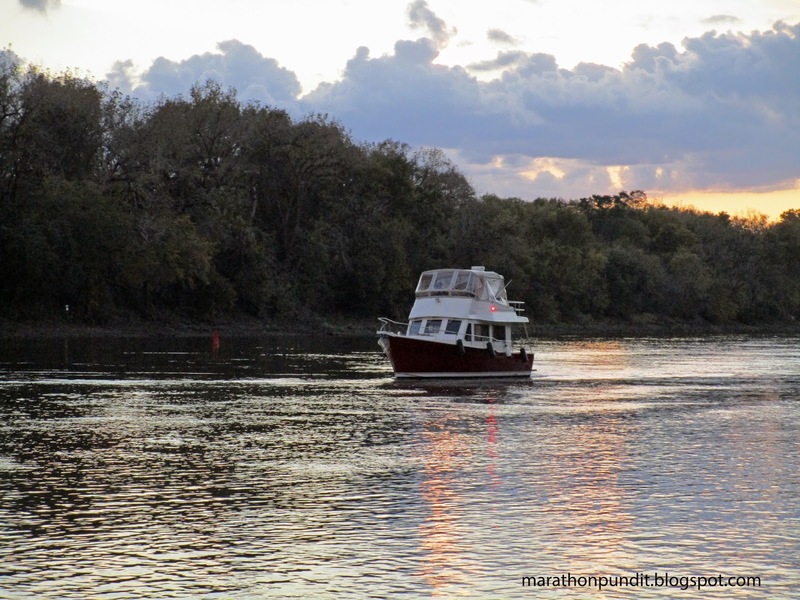 But this boat and all of the others I saw on the Illinois failed to send the invasive species airborne. In the background is Plum Island. 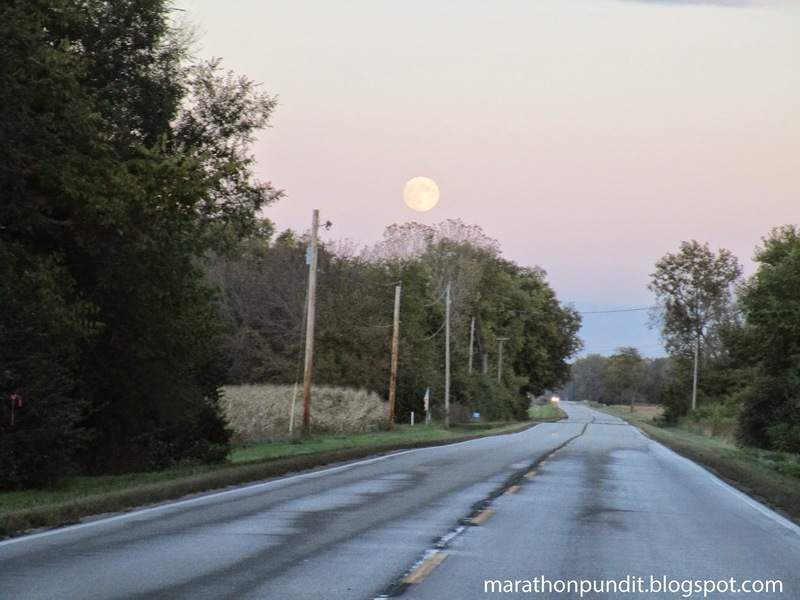 Moonrise over Dee Bennett Road. Later that night there was a total lunar eclipse. 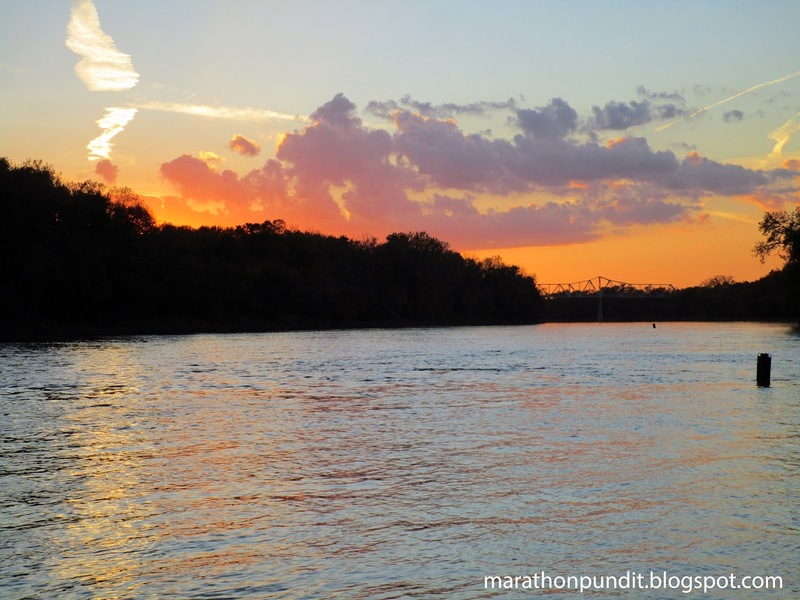 Sunset on the Illinois River. Our old friend, the Illinois & Michigan Canal, has been missing for the last several National Heritage Corridor posts, but here it is in the center of Utica. As with last fall, global warming is back with a vengeance with an early winter. As Warner Todd Huston reports, the upper Mississippi River is closed to barge traffic--too much ice. 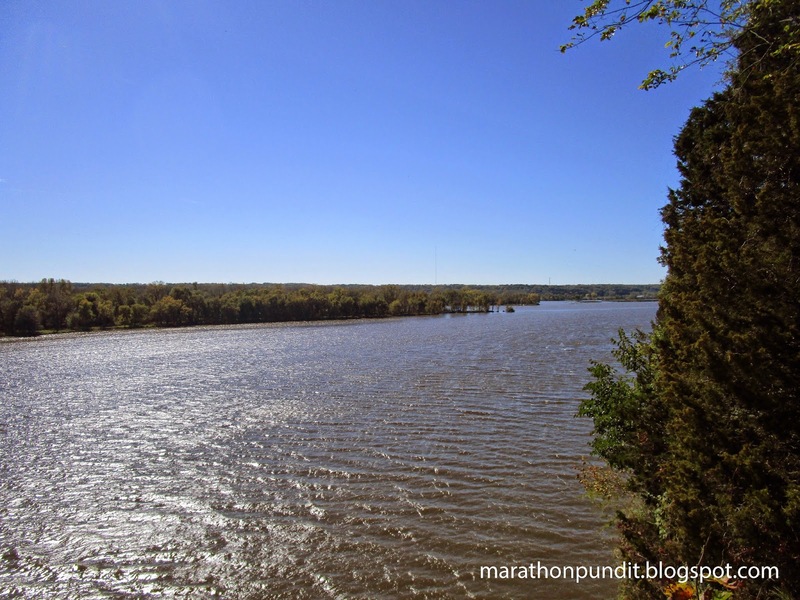 This is the earliest time on record the northern Mississippi has been shut down. Juan Williams: Where is Sharpton? Where is Jesse? Jesse Jackson and Al Sharpton have been in the racism business for decades. They said a lot buy not saying anything as Ferguson, Missouri burned last night. Where is the black leadership now that a grand jury has decided not to indict the police officer that killed Michael Brown? Where is Al Sharpton? He advertises himself as a spokesman for the best interests of black America. But he is absent. Where is Jesse Jackson, another popular media personality who says he speaks for black America? He's missing in action, too. Sharpton and Jackson feed off racial conflict, even when it turns violent. They're poverty pimps. President Obama about an hour ago made a speech calling for calm after a St. Louis County grand jury voted not to indict Darren Wilson, the Ferguson police officer who fatally shot unarmed but brutish Michael Brown this summer. Well, many people in Ferguson weren't tuned in to their TVs or smartphones, or they don't care, because as I write this entry, modern barbarians are setting police cars on fire, looting stores, shooting guns in the air, and casually raising hell. The police aren't responsible for this tantrum, the thugs are. 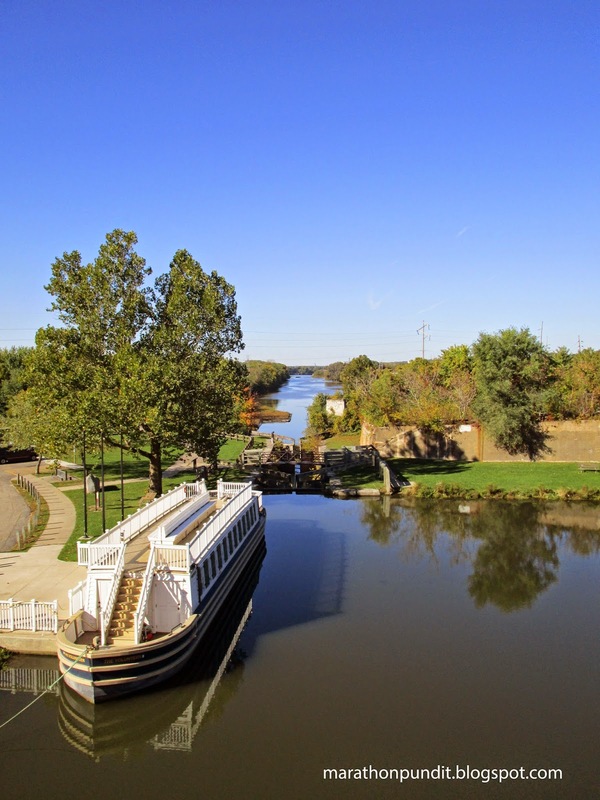 My next post in my Illinois & Michigan National Heritage Corridor series will have a canal pic. 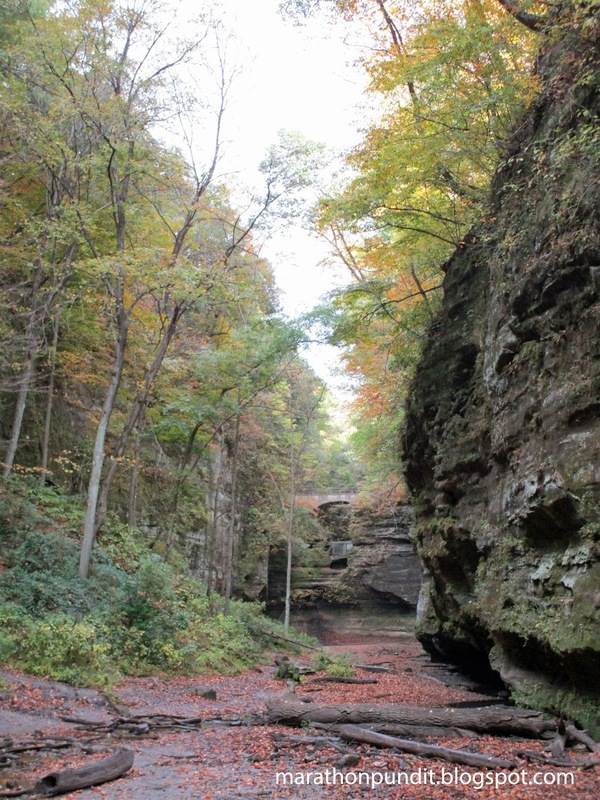 But first there is some unfinished business at Matthiessen State Park, namely the River Area with is at the park's southern end. 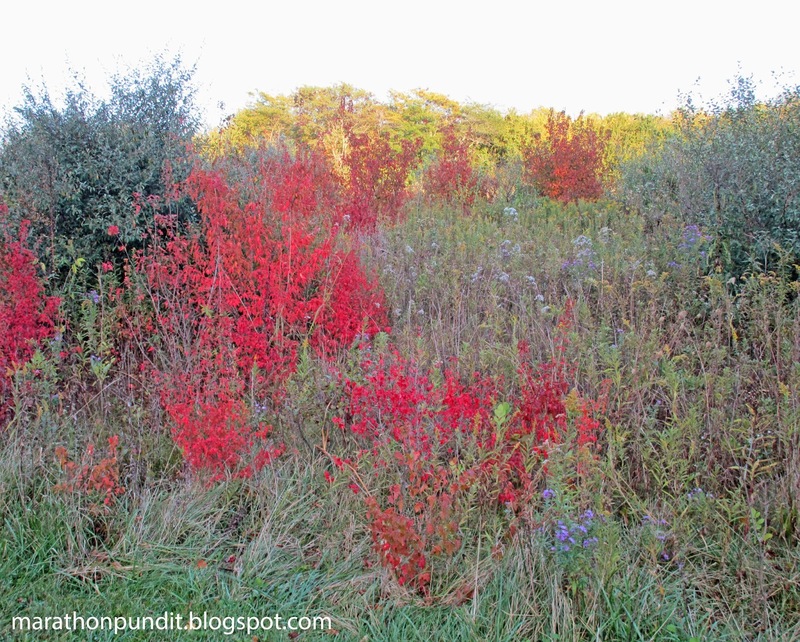 Tallgrass prairies have fall colors too. I didn't have to walk far from the parking lot to nab this shot. Of course the River Area has to have a river, and here it is, the Vermilion. 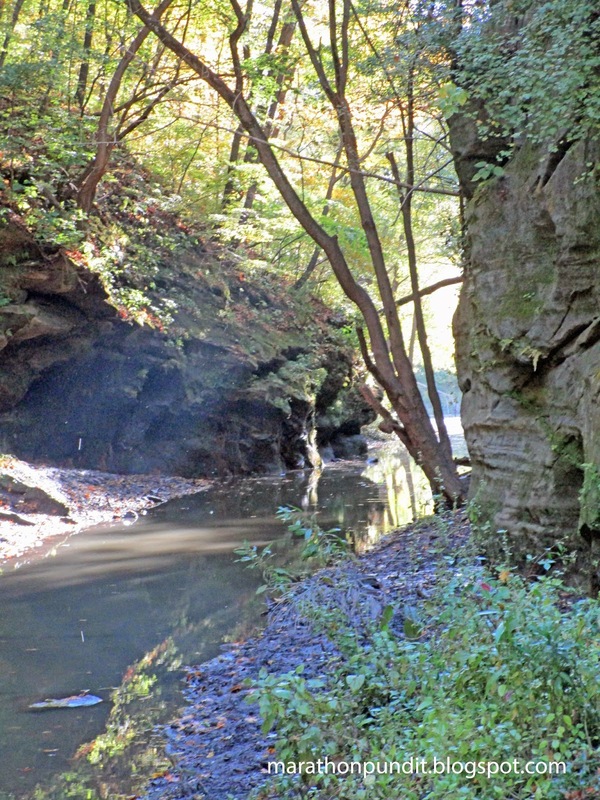 Between Lowell and Matthiessen there is a whitewater stretch that is considered the best in Illinois. This will be our last look at St. Peter sandstone in this series. 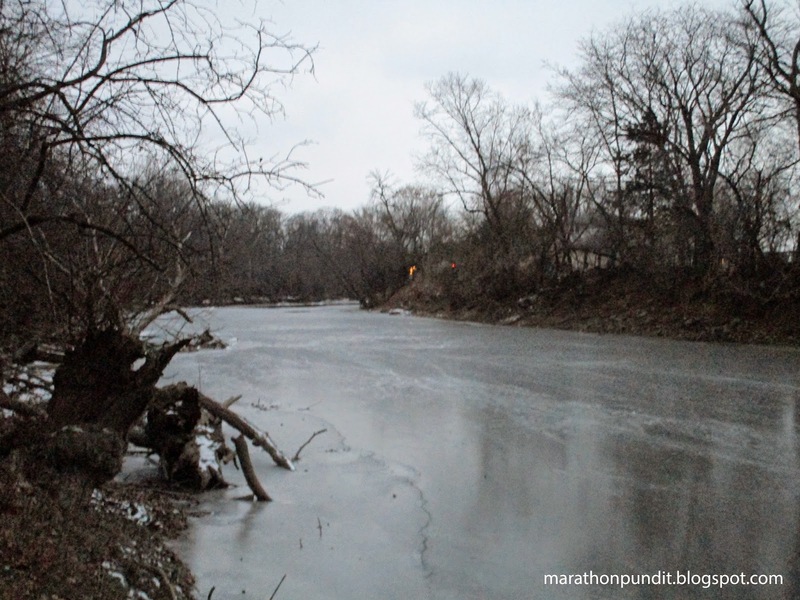 Amazingly enough there are two Vermilion Rivers in Illinois. The source of both rivers is marsh near Roberts. 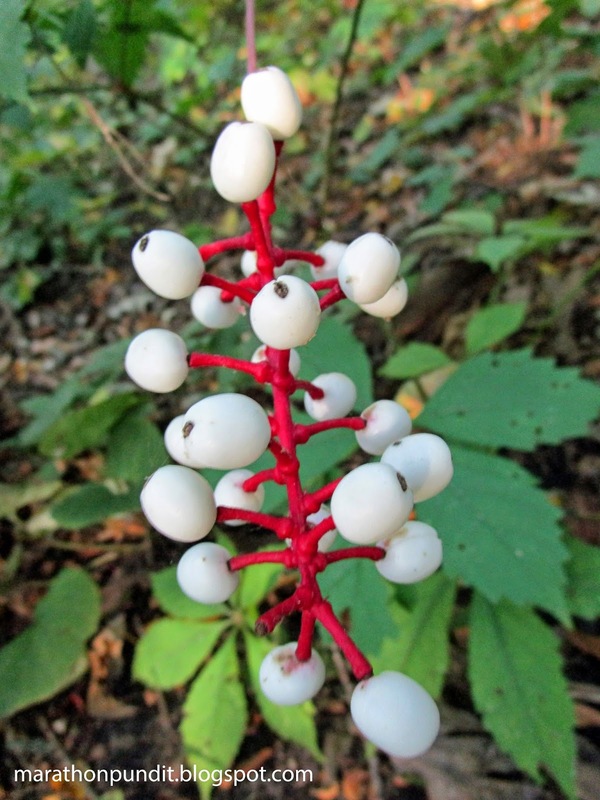 These are doll's eye berries. It's easy to see where the name comes from. These fruits, which I found on a patch on the way down to the Vermilion, are also known as white baneberries. They are highly toxic. Despite the rain and a Chicago Bears win, the streets of Chiraq were bloody once again this weekend. Three Chicagoans were shot to death and at least 14 others were wounded. 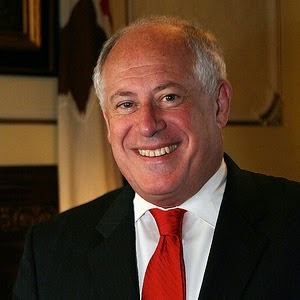 Two-and-a-half years ago Illinois governor Pat Quinn, who was defeated earlier this month in his reelection attempt, said he was "put on earth" to fix Illinois' underfunded pension system--which is in the hole by $100 billion. On Friday a downstate judge ruled the fix crafted by his fellow Democrats was unconstitutional. As for Quinn, who first worked for the state as a ghost-payroller, he's eligible for an annual pension $136,000 a year--even though he paid comparatively little into the fund. The Chicagoan is the poster child for what is wrong with Illinois pensions. Quinn, 65, started working in state government in 1973 as an aide to then-Gov. Dan Walker. He;s worked on and off ever since – also serving as state treasurer, lieutenant governor and, finally, governor – cobbling together nearly 20 years of state-government service. The way the pension system works in Illinois: State employees contribute a small share of their paychecks (4 percent at a minimum) toward future payouts, and taxpayers and pension investments cover the rest. Over the years, Quinn has contributed a total of $190,847 toward his state pension, according to interviews and public records. That means Quinn could recoup his investment in less than two years. And if he lives another 20 years, an average life expectancy for a man his age, he would (absent pension reform) collect a total of more than $3.6 million. 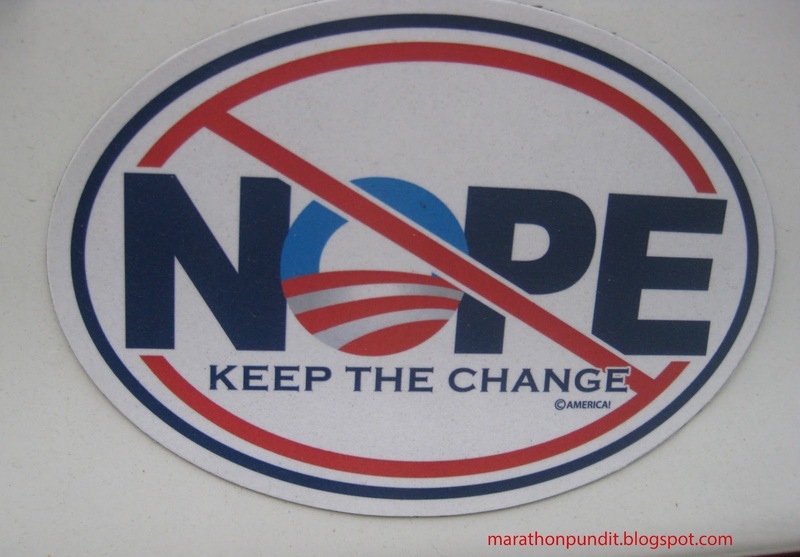 (Video) Obama says voters will be looking for "new car" smell in 2016; what about Hillary? Despite the presence of a sympathetic interviewer, lifetime Democrat George Stephanopoulos, President Obama had this to say about the next president, "The American people want a new car smell...want to drive something off the lot that doesn't have as much mileage as me." Has Hillary Clinton seen this clip? The Laborers Union, by the way, has a checkered reputation. Democratic gubernatorial candidate Anthony G. Brown, who took out a $500,000 loan from the Laborers International Union in October to keep his faltering campaign going, did not pay it off as planned, according to a financial report filed Tuesday night. Brown's campaign manager had vowed to pay back the unusual loan in full by Election Day. But the report showed that the campaign actually made no payments. To take out the loan, Brown signed a personal guarantee of its repayment, and could be liable if the money can't be repaid. The report showed that Brown had $137,497 in his campaign account as of Nov. 11. 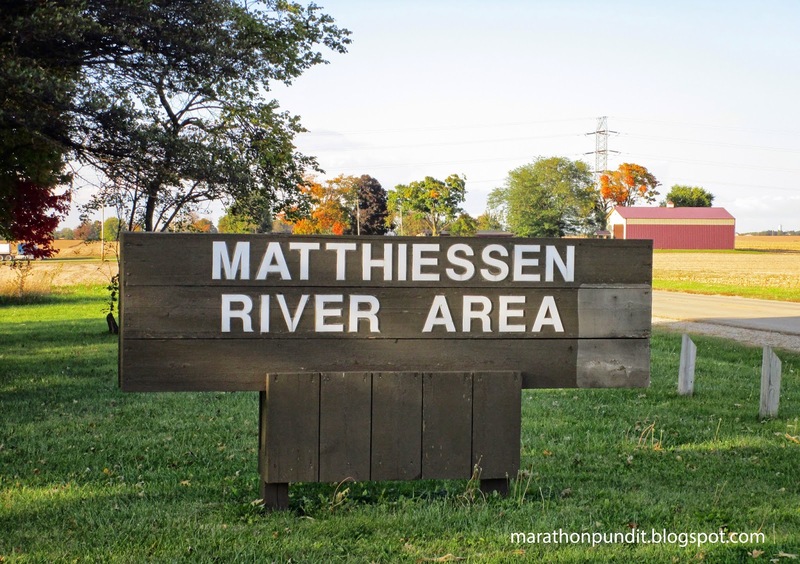 South of Starved Rock State Park on Illinois Route 178 is Matthiessen State Park, which consists of two units, the Dells Area and the River Area. First we will look at the former. 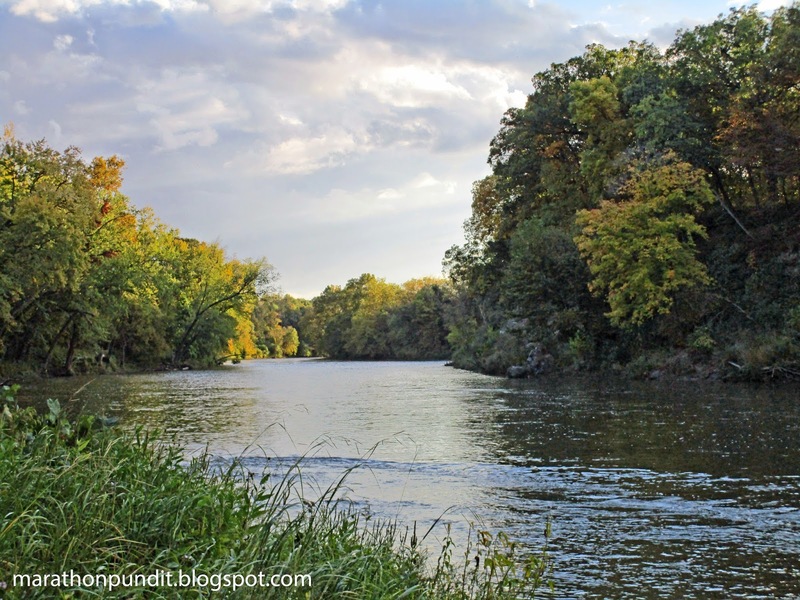 This post is part of my series celebrating the 30th anniversary of the creation of the Illinois & Michigan Canal National Heritage Corridor. 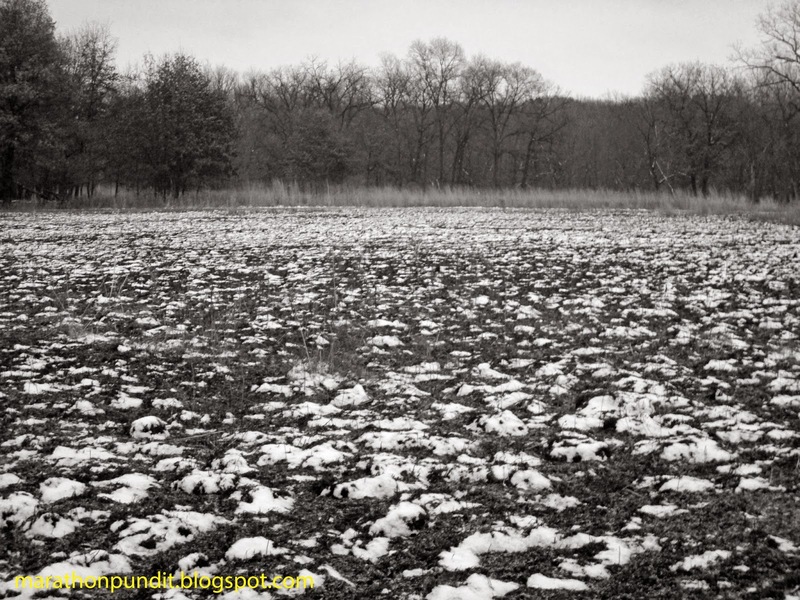 This photograph was taken on the drive from Starved Rock to Matthiessen, there were patches of rain the day I visited the parks. There is a replica 17th century French fort near the parking lot. As well as a vintage-style cabin. 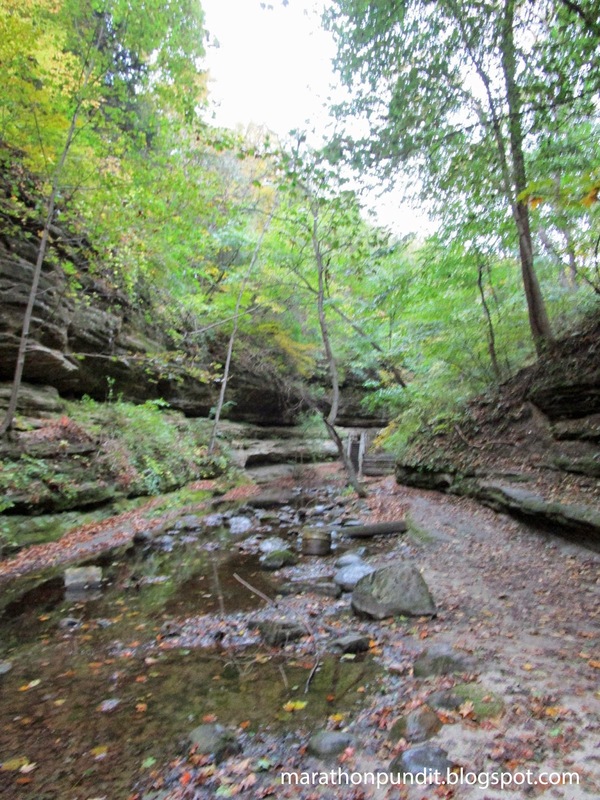 Matthiessen has canyons, but no where near the 18 that Starved Rock boasts of four miles to the north. 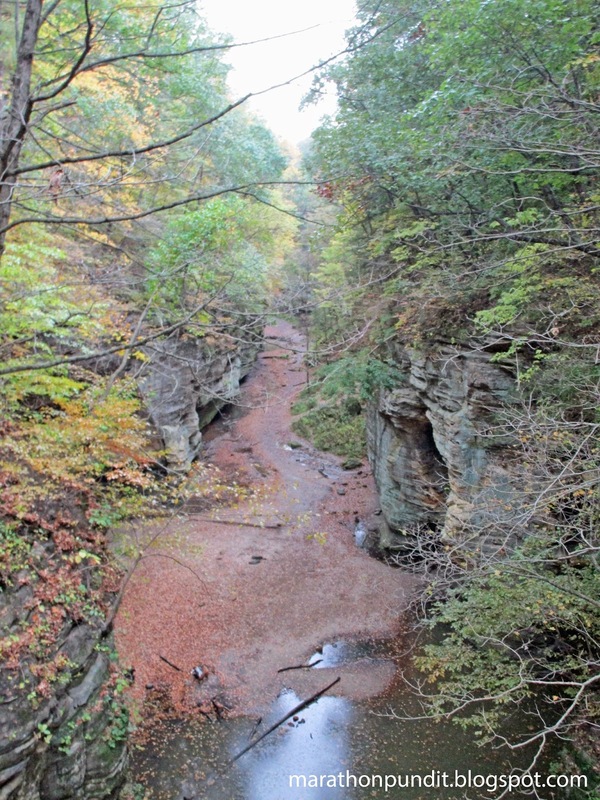 This canyon was formed by a stream that is fed by Deer Park Lake. Dells, by the way, are an old name for rock formations, I imagine that is how the Wisconsin Dells got their name. Despite that day's rain, the stream was at best a trickle when I visited. As with it's northern neighbor, the rock formations are composed of St. Peter sandstone. This will be my last Starved Rock comparison, I promise. 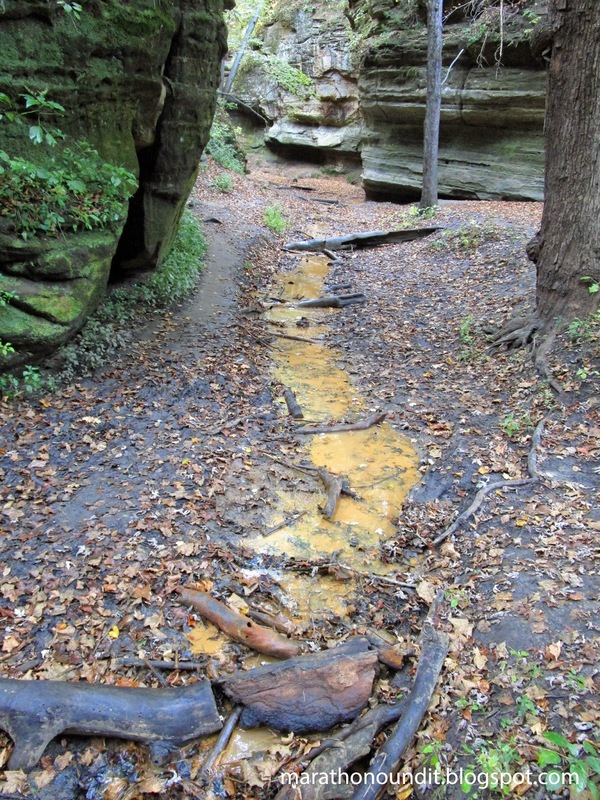 There was an orange-tinged brook at Lover's Leap, too. 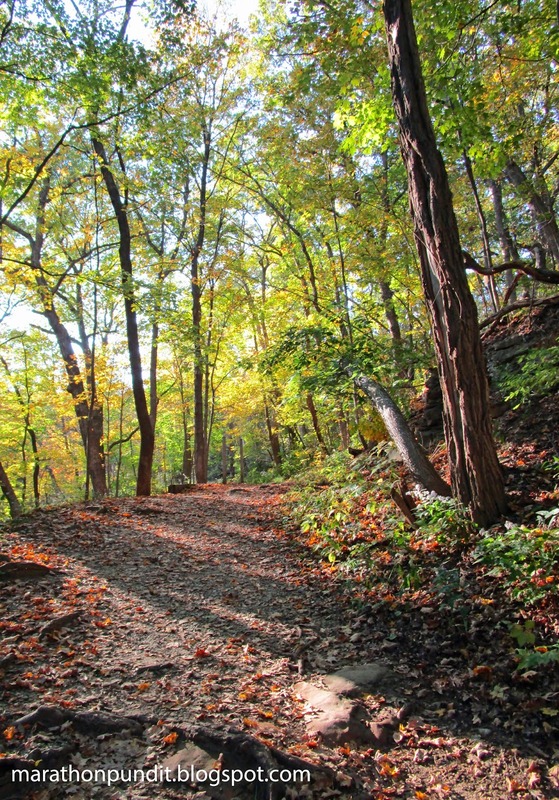 Originally known as Deer Lake Park, it was built and operated by local businessman and philanthropist Frederick William Matthiessen. 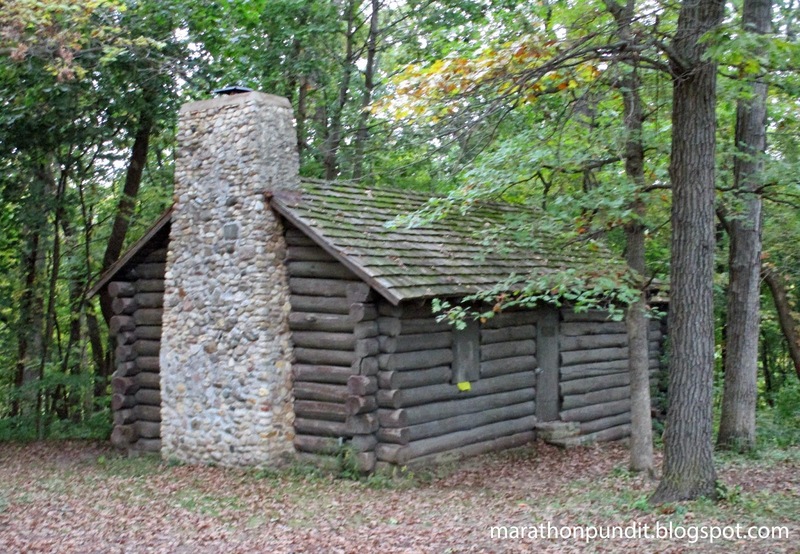 After he died, the property was donated to the state--it was renamed in his honor in 1943. There are waterfalls at Matthiessen under wetter conditions. Although even when the stream is at a low level, the Dells Area is not a place for those who aren't sure-footed. I timed my canal trip on a variety of factors, the likelihood of catching the peak period of the fall colors was one of them. 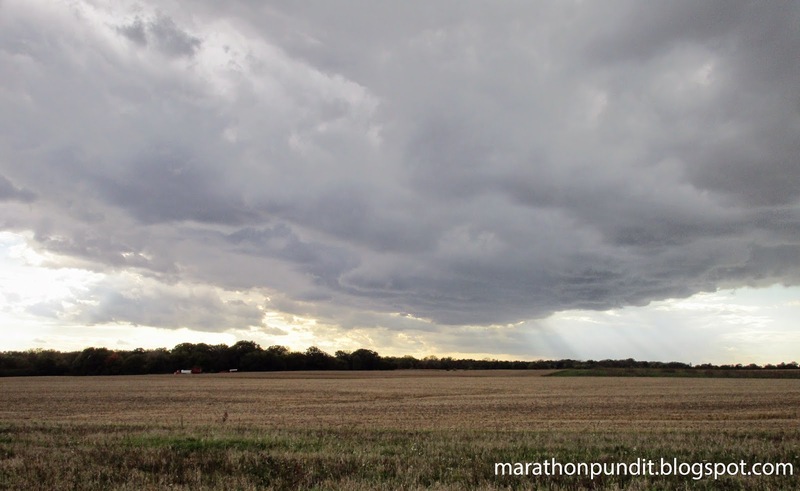 I missed that time by about a week--but that part of October was plagued with rain and clouds. Away from the canyons there is still much to see. Time to move on to my next stop. 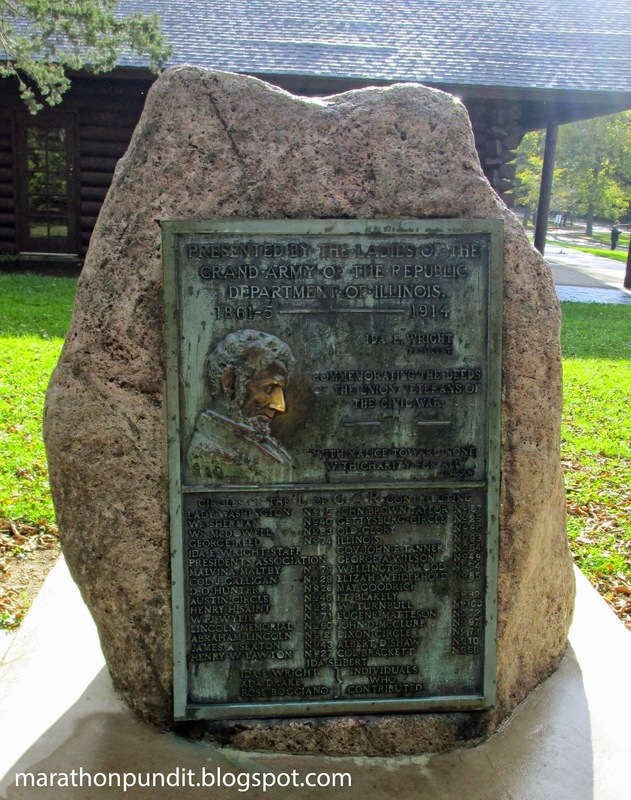 Near the stairway at Starved Rock State Park near Utica, Illinois is a 100 year-old plaque honoring the northern soldiers of the Civil War. It reads, "Presented by the Ladies of the Grand Army of the Republic, Department of Illinois, 1861-5--1914, Ida E. Wright, president." 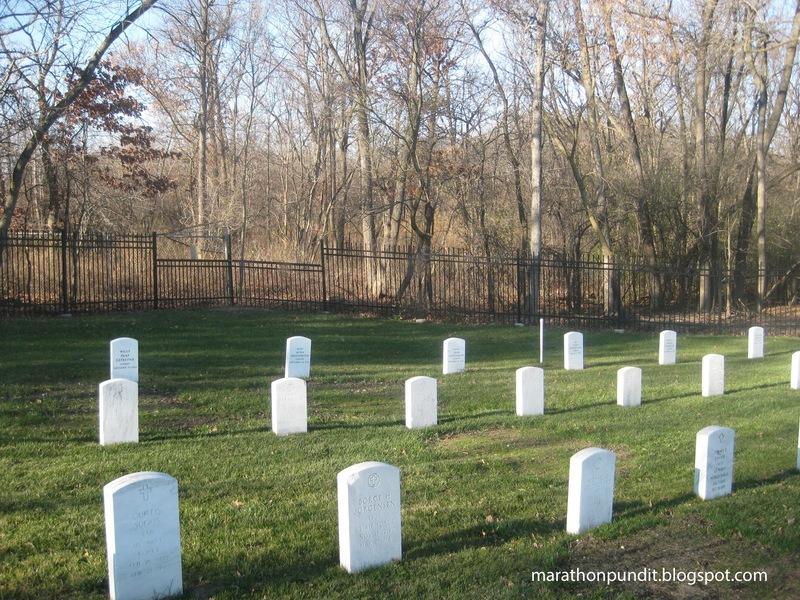 Continuing, "Commemorating the deeds of the Union veterans of the Civil War." It ends with a passage from the 16th president's second inaugural address, "With malice towards none, with charity for all." As you can see by the lack of tarnishment on Lincoln's face, passerbys regularly rub Old Abe's nose for good luck. Retired IRS partisan hack Lois Lerner won't have much to be thankful for next Thursday. The U.S. Treasury Inspector General for Tax Administration (TIGTA) informed congressional staffers from several committees on Friday that the emails were found among hundreds of "disaster recovery tapes" that were used to back up the IRS email system. "They just said it took them several weeks and some forensic effort to get these emails off these tapes," a congressional aide told the Washington Examiner. Committees in the House and Senate are seeking the emails, which they believe could show Lerner was working in concert with Obama administration officials to target conservative and Tea Party groups seeking tax-exempt status before the 2012 presidential election. I never believed these emails were unrecoverable. Napoleon of course met his Waterloo. Has Obama met his Watergate tapes? 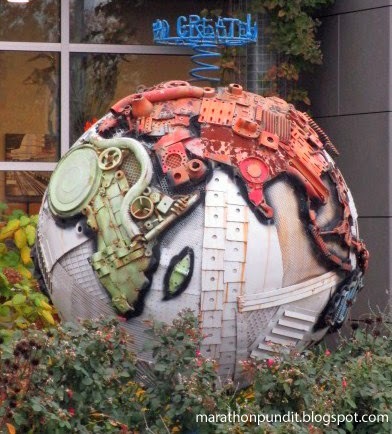 In regards to Illinois' public pension system, on April 20, 2012--944 days ago--now-lame duck governor Pat Quinn said he was "put on earth" to fix the problem. Well, his pension rescue bill, which he signed into law a year ago, has been ruled unconstitutional by a downstate circuit court judge. Public-sector unions challenged the law. Obviously the state will appeal, but this case will certainly end up in the docket of the state Supreme Court. As for Quinn, it appears he was wrong about his divine mission. And what about those public-sector unions? They are not the friends of taxpayers. Apologists for President Obama are claiming that Dear Leader's granting amnesty to five million illegal aliens follows actions made earlier. 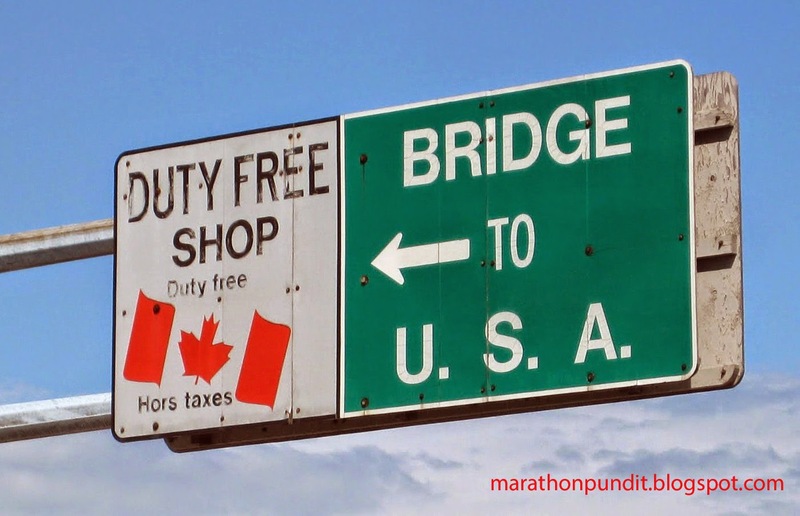 Powerline says no: Reagan and Bush 41 provide no precedent for Obama's amnesty order. Former White House press secretary Jay Carney--whose put on a lot of weight since leaving the Obama administration--says that his old boss flip-flopped on granting amnesty to illegal aliens. In grandiose fashion, President Obama says he will grant amnesty--although where he gets the power to do so is unclear--to about five million illegal immigrants. Of those soon to be legalized illegals, Obama said nothing about the need for them to learn English or accepting American culture. As for Obama, it's all about adding five million Democratic voters to the rolls. It's still autumn but sub-freezing temperatures have gripped much of the nation. 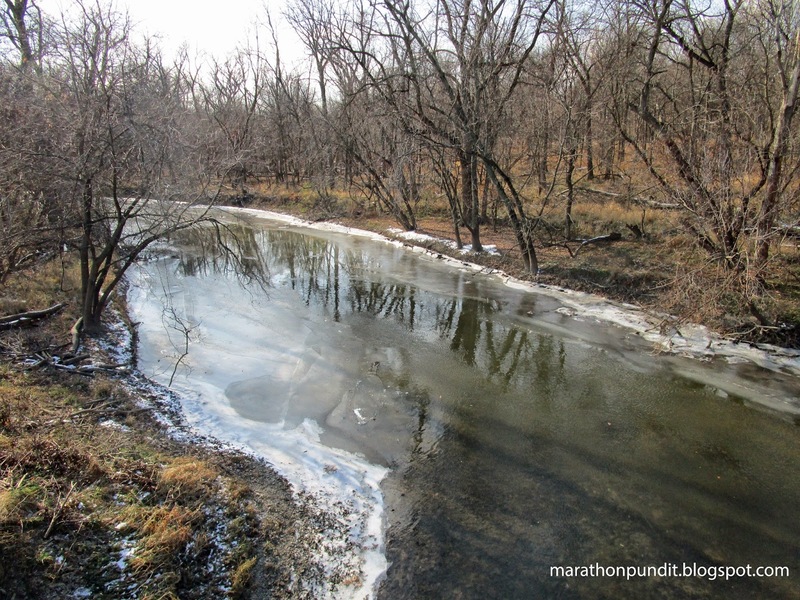 Pictured below are two prematurely frozen rivers. That's the North Branch of the Chicago River at Morton Grove's St. Paul Woods. And above is the Des Plaines River at Camground Road Woods. We've been down this road before. A few years ago Nancy Pelosi remarked about ObamaCare, "We have to pass the bill to find out what's in it," alluding that Americans would like it. They don't. Yesterday on MSNBC, dozens watched as US Rep. Luis Gutierrez told Ed Schultz that Americans will love amnesty for illegal aliens once President Obama "explains it." 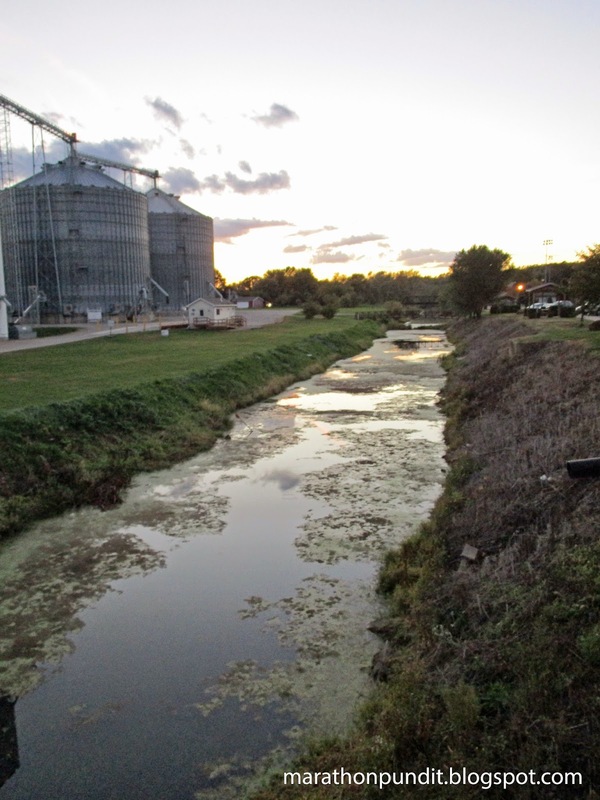 The recently-opened "green technology" Asian carp in Grafton, Illinois closed this week. American Heartland Fish Products, which operated the facility, promised officials of the small town near the confluence of the Illinois and Mississippi Rivers that there would be no foul odors. But despite the greenness there was, and the company was given 30 days by Grafton to get rid of the smell or close. 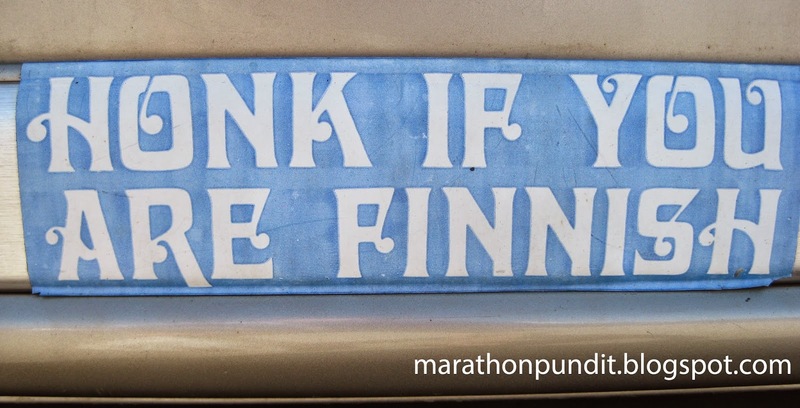 They chose the latter. Amazingly, according to KPLR-TV, the stench arose because the equipment used by American Heartland Fish Products was designed for catfish, not carp. Not that is a fish story if I ever heard one. President Obama, the one-time constitutional law teacher, is jumping the shark into the great unknown by circumventing Congress to legalize over 5 million illegal aliens. On my way home from work tonight, I listened as Mark Levin played the audio of this National Review video of Obama debunking the argument--several times--that he did not have the power to do so. Yes, the Earth has a fever, Al Gore says. But somehow Buffalo, New York has six feet of snow. A historic Lake Effect snow storm has the entire country watching Western New York, where hearty residents of Buffalo and towns to the South are bracing themselves for another day of intense winter weather. The New York State Thruway west of Rochester remained closed Wednesday morning. The devastating conditions have become lethal, with five deaths in Western New York being blamed on the snow storm. The snow storm has left 150 vehicles stranded on the Thruway, and travel has been cancelled and banned for plane, train and automobile. N.Y. Gov. Andrew Cuomo declared a state of emergency in the area, extending partially into Central N.Y. 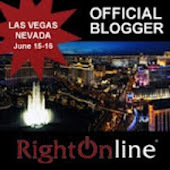 It appears that President Obama will used his storied extra-constitutional pen to foist amnesty for illegal aliens upon a nation that opposes it on Friday in Las Vegas. The former teacher of constitutional law delayed this unpopular move until after Election Day because vulnerable Senate Democrats begged him not to do so. Well, almost all those Dems lost anyway. The Washington Post looks back at the issue and tells us that twice Obama said that he does not have the power to use an executive order to implement amnesty for illegals. Yet the liar-in-chief says his "position hasn't changed." That thud you may have heard late this afternoon was the senatorial career of Mary Landrieu (D-LA). Facing a runoff election next month where she is expected to lose--badly--the Democratic National Commitee has ceased funding her campaign. With the Republican takeover of the upper chamber coming in less than two months, she'll lose her chairmanship of the Energy Committee--which was one of her bragging points. Landrieu had one card left to play--finally getting the Senate to vote on the Keystone XL pipeline, which will bring much-needed petroleum from our friends in Canada here. It will lessen our dependence on oil from hostile regimes such as Venezuela and Saudi Arabia, and hurt the bank books of Russia and Iran. President Obama has been dithering on Keystone for six years now. He, and most of his party, are too interested in kowtowing to their environmentalist donors. The vote happened--and Landrieu was one vote short. So President Obama won't have to finally make a decision on Keystone until next year--when Landrieu will very likely be a former senator. 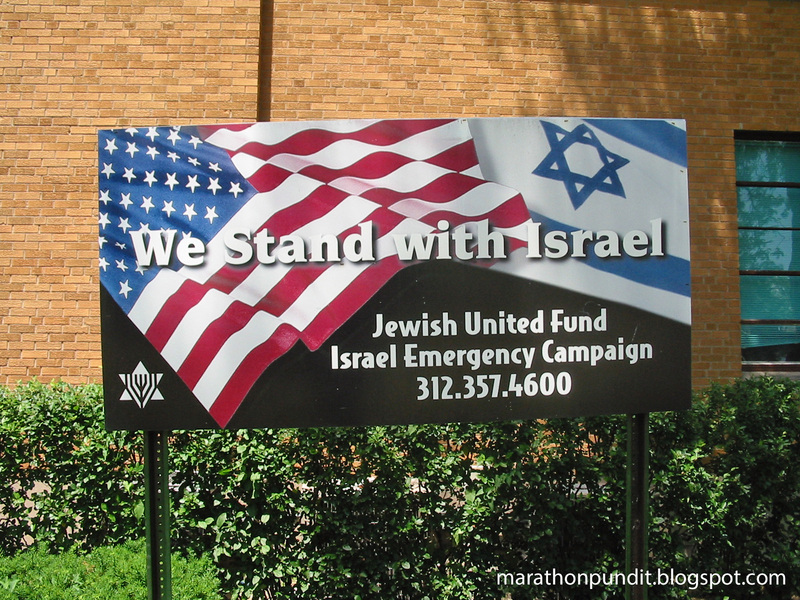 While most Americas were sleeping, two evil brutes stormed a Jerusalem synagogue. Two Palestinians armed with knives, axes and a gun stormed a synagogue in an Orthodox Jewish neighborhood on Tuesday, killing three Americans — including a prominent rabbi — and a British worshiper in one of the deadliest attacks in years in Jerusalem. The attackers — identified by Palestinian media as residents of mostly Arab East Jerusalem — were then killed by police in an aftermath that vividly showed the razor-edge tensions in Jerusalem after weeks of bloodshed and clashes. Israeli Prime Minister Benjamin Netanyahu accused Palestinian leaders of inciting violence and promised to “respond harshly.” In the Palestinian-controlled Gaza Strip, calls over loudspeakers praised the attackers. Enough power for a Christmas tree? It appears that we have another Obama administration green energy boondoggle on our hands, although when the giant solar plant in the Mojave Desert opened earlier this year, Energy Secretary Ernest Moniz called it a "symbol of the exciting progress" of so-called renewable energy. The $2 billion project is operated by NRG Energy Inc., which owns the plant along with Google and crony capitalist BrightSource Energy. It is backed by--wait for it--by $1.6 billion in loan guarantees from the federal government. So-called renewable energy? Steam from natural gas-powered boilers, originally thought to be needed to jump-start the facility for an hour, is actually needed for about 4 1/2 hours each day. The complex operates at full capacity for an average of 8 1/2 hours daily. The largest solar power plant of its type in the world — once promoted as a turning point in green energy — isn't producing as much energy as planned. Sprawling across approximately 5 square miles of federal desert near the California-Nevada border south of Las Vegas, the Ivanpah Solar Electric Generating System opened in February, with operators saying it would produce enough electricity to power a city of 140,000 homes. Clouds is the desert? Of course it happens even in one of the sunniest places in America. If a massive solar energy plant fails to produce adequate power in the Mojave desert, is there a place on the planet where it can? Radicals seem to be readying themselves for opportunistic violence and mayhem, using the Michael Brown case as a convenient excuse. As the nation waits to hear whether a Missouri police officer will face charges for killing unarmed teenager Michael Brown in Ferguson, Mo., the FBI is warning law enforcement agencies across the country that the decision "will likely" lead some extremist protesters to threaten and even attack police officers or federal agents. Peaceful protesters could be caught in the middle, and electrical facilities or water treatment plants could also become targets. In addition, so-called "hacktivists" like the group "Anonymous" could try to launch cyber-attacks against authorities. "The announcement of the grand jury's decision … will likely be exploited by some individuals to justify threats and attacks against law enforcement and critical infrastructure," the FBI says in an intelligence bulletin issued in recent days. "This also poses a threat to those civilians engaged in lawful or otherwise constitutionally protected activities." 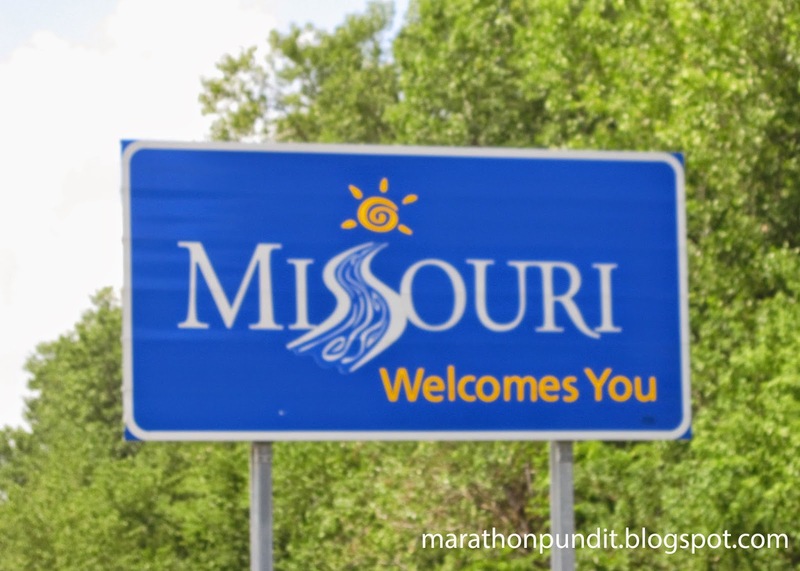 Meanwhile, the governor of Missouri has already declared a state of emergency. If widespread violence does break out after the grand jury decision is announced, look for professional rabble-rousers Al Sharpton and Jesse Jackson to blame everyone but themselves and their fellow leftists for the chaos.